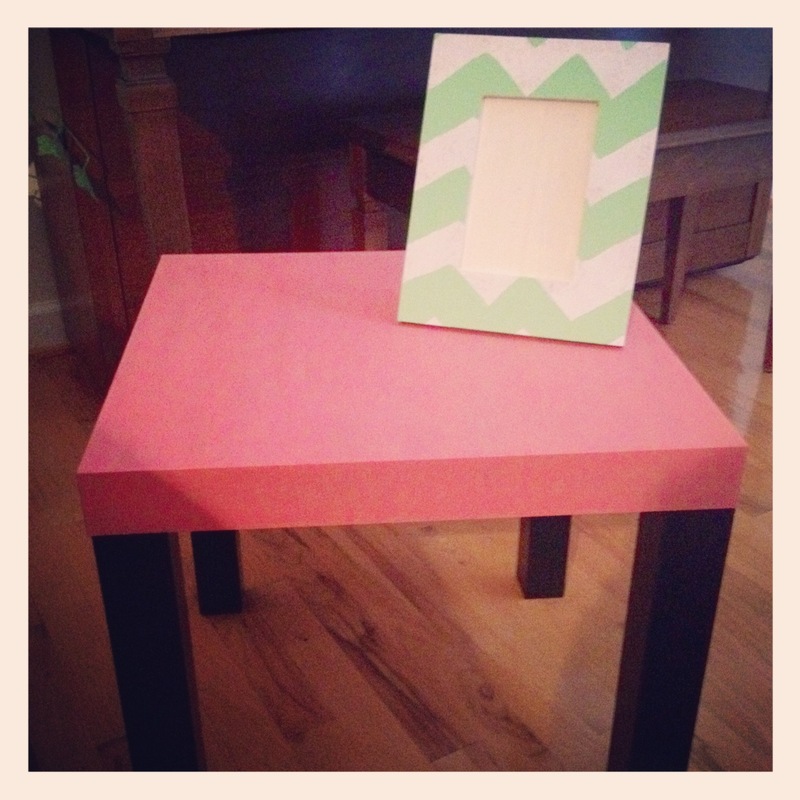 As a Marley Lilly intern, I have been so busy over the past couple of months with working, finishing my coffee table, moving back to Clemson, and celebrating birthdays! 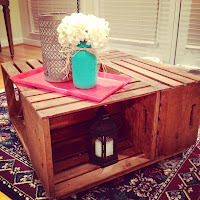 I finally finished my coffee table, after months of working on it. 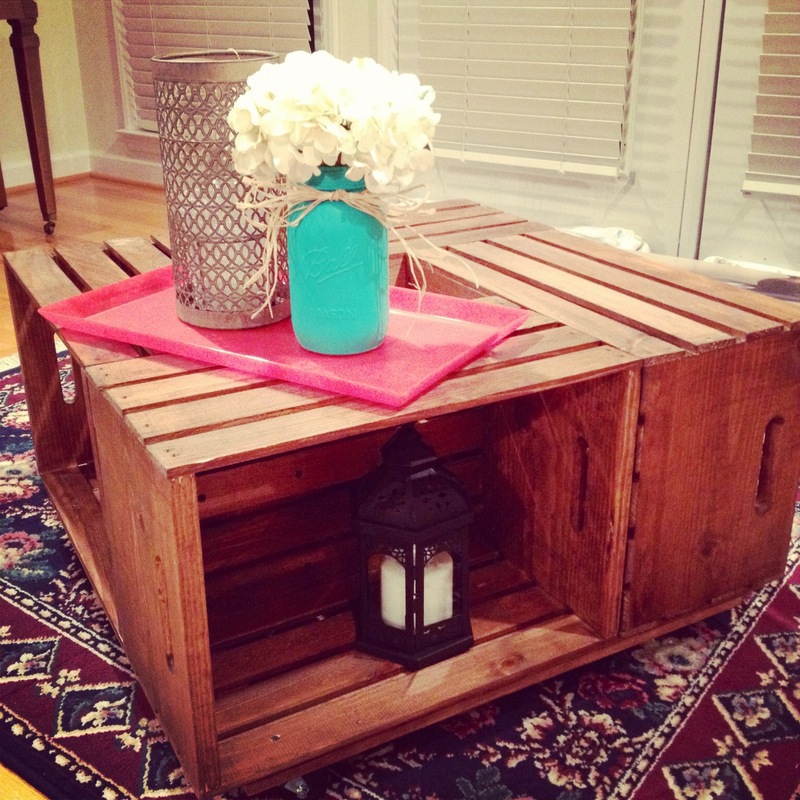 I had a little help from my dad with assembling it, but I sanded it and stained it on my own. 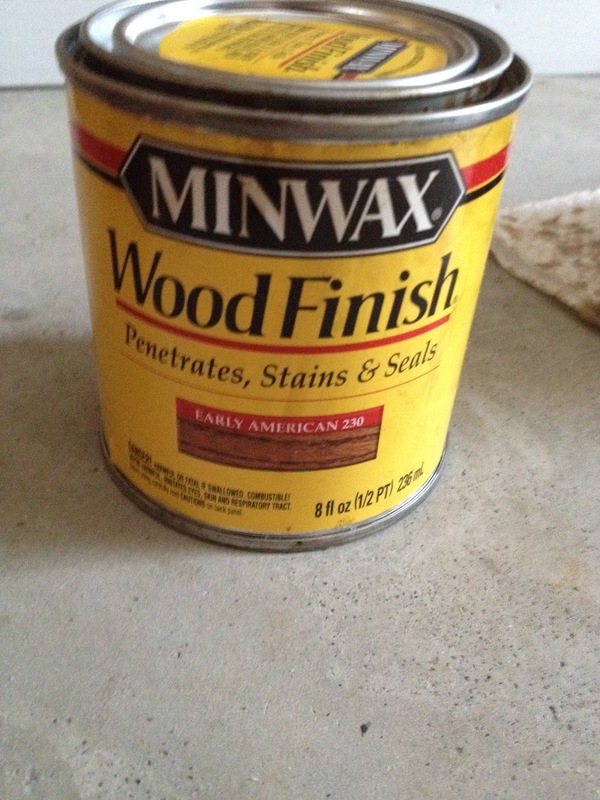 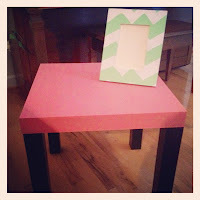 Below are pictures of the stain that I used and the finished table! I also added some pictures of other projects that I did, including a $15 table from Target that I painted to match my apartment, and a jewelry dish that I painted with my initials in it. 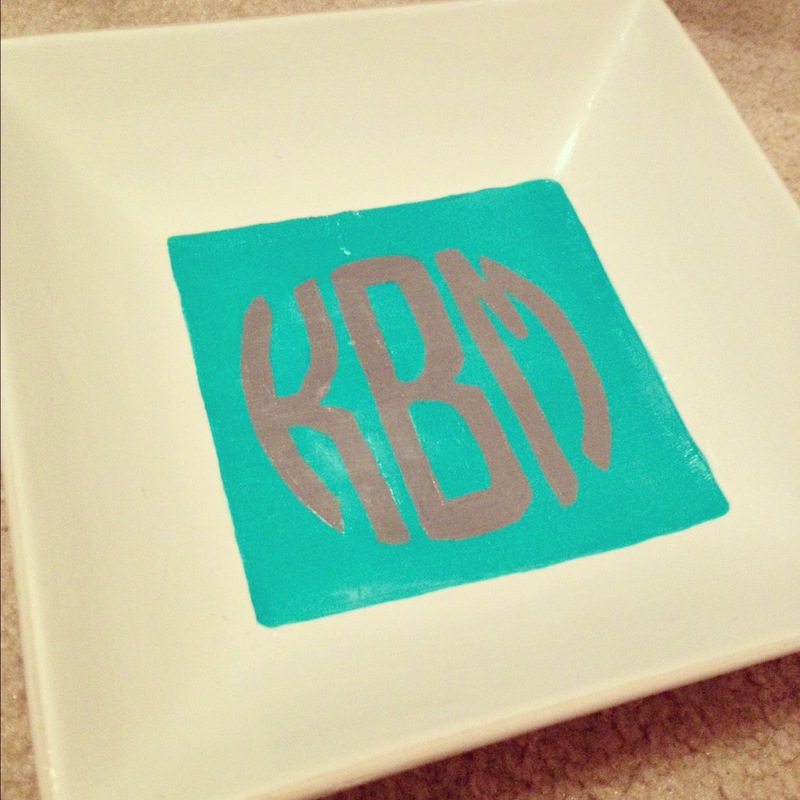 Although, if you’re a perfectionist, I would definitely suggest purchasing a vinyl decal from Marley Lilly, with the correct size to fit your dish! I also celebrated my 21st last month, along with two of my other best friends! 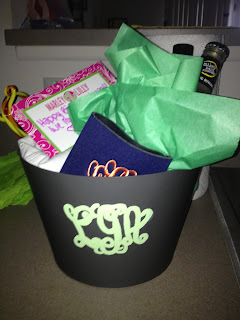 For their gifts, I made little buckets for them and stuffed them with monogrammed goodies from Marley Lilly! 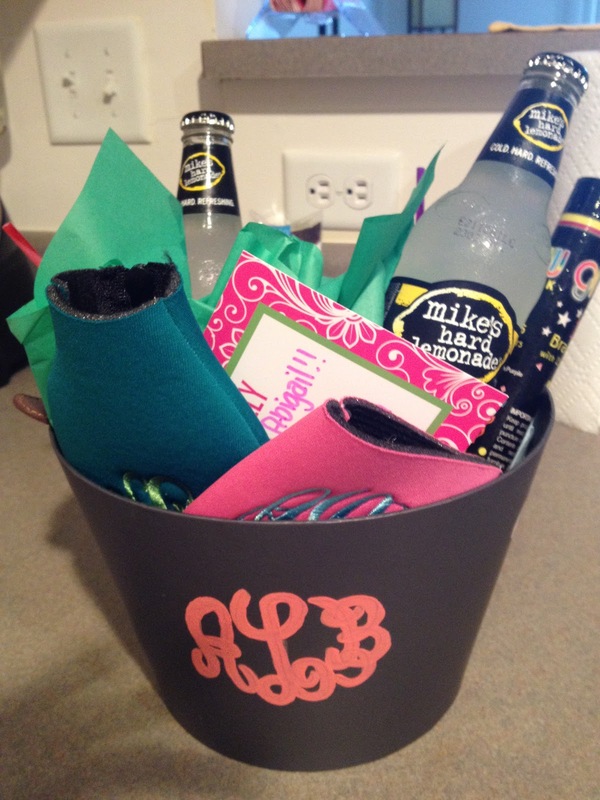 I made them monogrammed koozies, monogrammed pocket tees, and monogrammed baseball hats! I also painted their initials on the buckets, but I should have definitely made vinyl decals to go on the buckets because they didn’t turn out as well as I wanted them to! Below are pictures of the birthday buckets!